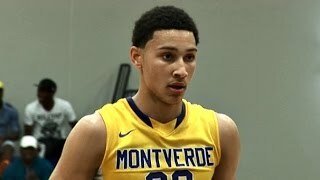 Ben Simmons highlights from all 5 Montverde home games so far this season. He is committed to play at LSU next year & ESPN has him ranked #1 in the Class of 2015 over Jaylen Brown. Will Simmons lead the MVA Eagles to a 3rd straight championship at City of Palms next week? Ben Simmons is an Australian prospect with great physical tools and a wonderful feel for the ... Ben Simmons is ELITE! #1 Player in the Nation http://t.co/sVMGAq51mU. 1h. 5'9 Problem Child KILLS Windmill Off The Glass IN Game!